Samuel is trapped by huge snow drifts in an old, remote house. And that's not the only thing causing a cold shiver to creep down his spine. He feels like the ghostly figure in the locked library has a message ... but who is it for? Set on bleak Sheriffmuir near Stirling, this is a spooky tale of the past returning to haunt the present. Samuel just knows there's something wrong at the spooky, medieval Scottish mansion he and his mother live next to. Suddenly snowbound on the remote country estate and pursued by a mysterious and terrifying Weeping Woman, Samuel and his new friend Fiona have to figure out how to appease this ancient ghost before she takes another life. Alex Nye's unadorned prose perfectly captures the chilling feeling of being trapped in a cold and forbidding--yet still beautiful--landscape and being watched day and night by a menacing presence. This story is gripping, and one of the scariest I've read. Another fine example of modern Scottish literature with a dash of historical romance thrown in. This book is a self-help guide to understanding/ interpreting and dealing with stress as a teenager. Just as the front cover illustrates it is filled with "Stress-Reducing Techniques for a More Balanced, Peaceful You." The book begins by explaining what stress is and the causes and effects of it. Then the book moves on to explain certain stressful situations and the body's natural reactions to these situations. As this is explained there are many different forms of exercises to allow for further understanding of the subject matter, such as journals and yoga. At the end of each chapter there are journal prompts and questions/answers from the author. After these points are understood, stress relief methods are explored. Some examples are exercise, a new/more nutritious diet, volunteering, and writing. I found that exercise and writing are great stress relievers but, what works is based upon personal circumstance and opinion. The book explains that stress can impact every area of our lives and it is important to be conscious of its influence and the cause for such stress. Overall, I found this book to be both informative and helpful. The author relates to teenagers well and expresses many stress-relief techniques. This book would be helpful to anyone from middle school to college and is inspirational to all people. The information may be geared toward a young age group, but I believe the information within this book would be of use to all. It is books like this that we turn to in times of stress. Thank you, Deborah Reber, for writing this book! 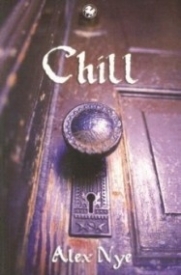 I have read several self books before and I think CHILL was one of the best yet. Reber provides many insightful de-stressing techniques and ways to remove clutter from your life to help keep the stress away. I applied several of her techniques right away. I especially liked the tips on how to remove the clutter on the computer. My computer was a mess, but thanks to Reber, it is now much more organized. My only complaint is that the book did become a little repetitive as it progressed, but this did not detract from the overall pacing. I would also have liked to see more tips on dealing with self doubt. While briefly touched, I feel it was less focused on than stress from other sources. A lot of what Reber discusses is what I had to learn the hard way because I didnt have a book like this. I think if I had read this when I was beginning high school, I may have been able to save myself some from unneeded stress. I highly recommend this book to teenagers, especially if youre just beginning high school. It is a tough time and CHILL could definitely help you out with the stressful world of high school. Long days? Not enough sleep? Feeling stressed out? 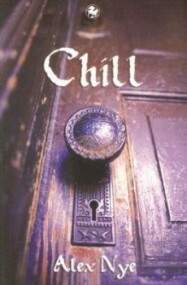 Chill is a nonfiction book about teaching teens to reduce their stress and become more peaceful. This book teaches you many things about stress. What causes it, the effects on your body, and ways to get rid or, of at least reduce, it. The explanations throughout the book were very interesting. I liked that the book opened up with an explanation of what stress does to our body and mind. It shows why reducing or eliminating stress is needed to have a peaceful life. With this introduction, the reader is more likely to continue on in order to find a way to control their own stress. In the chapters on the techniques suggested to reduce the stress, there were many different parts of each category. There were the explanations of the stress, the ways to reduce that stress, a way to make sure that you continue to do it, a quiz, an affirmation, tips from an expert, and an ask Debbie section. There were questions from teens and pictures throughout the book as well as places for the reader to fill out and write. I found many of the techniques and suggestions in the book very helpful. Especially the ones on organization. I would definitely recommend this book if you feel like you're too stressed out or if you would like a nice nonfiction book to read.